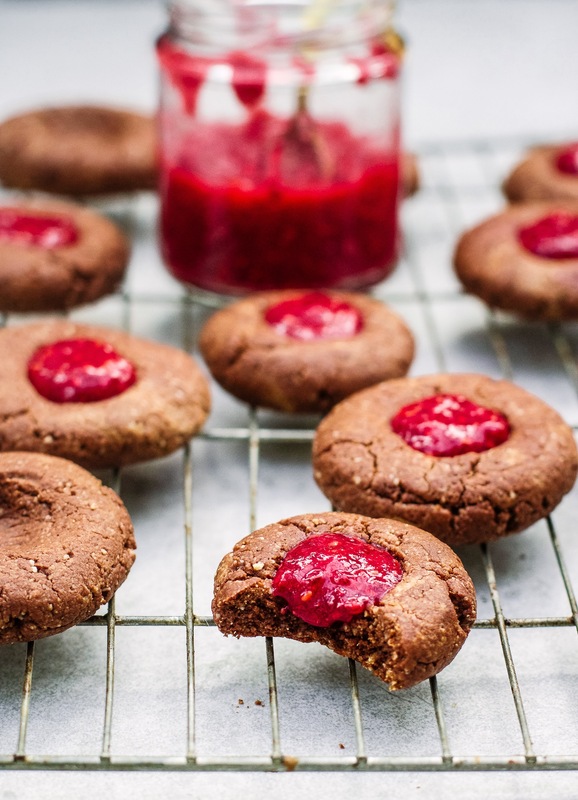 Just in time for Valentine’s day, these gorgeous raspberry chocolate thumbprint cookies are such an easy and delicious treat for you or someone you love. They’re really simple with lots of wow factor. Use the extra jam for breakfast tomorrow in my Chia Jam Overnight Oats. Start with the jam- add the raspberries, maple syrup and chia seeds to your blender and blend until runny. Leave it to sit for a few minutes, then blend again. It will thicken as it rests. 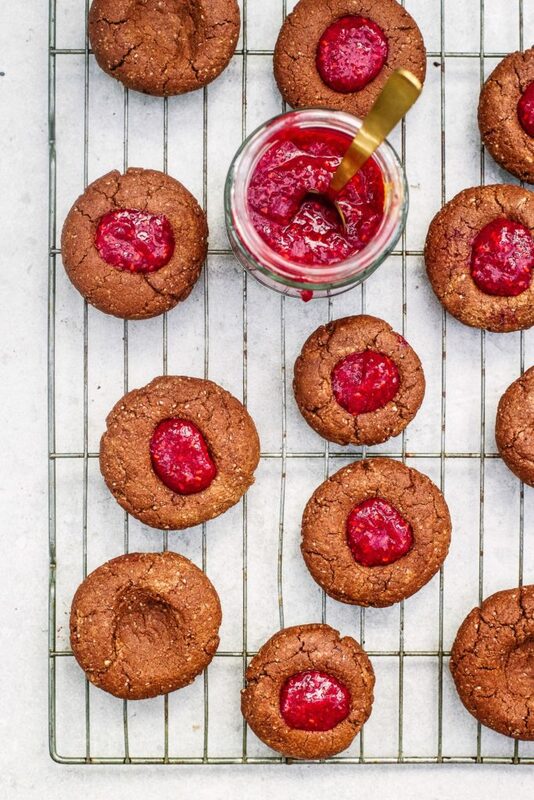 In a separate bowl, combine the ground almonds, baking powder and cacao powder. Add the dry ingredient to the wet and mix each you have a sticky-ish dough. Line a baking tray with parchment paper. Roll the dough into balls and then flatten them gently onto the tray. Use your thumb to make a dent in the centre of each. Bake at 180’C for 8-10 minutes, depending on their size. When they come out, use the back of a teaspoon to freshen the dent in the centre. Leave them to cool in the tray on a wire rack. When cool, spoon some jam into the centre of each.